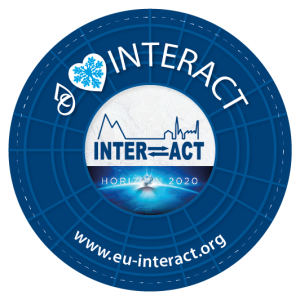 INTERACT Transnational Access Call is open until 12th October! The call for applications is open until 12th October 2018 for Transnational Access and Remote Access taking place between March 2019 and April 2020. Further TA/RA call information, stations available in the call, descriptions of stations and their facilities, and registration to the INTERACCESS on-line application system can be found from the INTERACT website. Overall, INTERACT provides three different modalities of access: Transnational and Remote Access that is applied through annual calls, and Virtual Access which means free access to data from stations, available at all times through INTERACT VA single-entry point. Materials of an on-line webinar held on 11th September, including information about the application process and TA/RA in general, are now available on the TA call information page. For any additional information, please contact the Transnational Access coordinator Hannele Savela, hannele.savela(at)oulu.fi. Apply INTERACT Transnational Access to conduct research at the coolest places of the North!